New students must make a $125 enrollment guarantee. All charges for tuition, fees, room and board are due and payable at the beginning of the term. All charges not covered by payments or by financial aid (as certified by the Office of Student Financial Services) may be paid under an installment plan, the three, four, or five-payment plan. Three-payment Plan: Payments for enrollment costs, less verified financial aid are due as follows: September 1, October 1 and November 1 for the fall semester; February 1, March 1 and April 1 for the spring semester. For any month a payment is late, a late payment fee of $23 is charged. A $50 origination fee will be assessed each semester for those using the three-payment plan. Four-payment plan: Payments for enrollment costs, less verified financial aid are due as follows: August 1, September 1, October 1 and November 1 for the fall semester; January 1, February 1, March 1 and April 1 for the spring semester. For any month a payment is late, a late payment fee of $23 is charged. A $50 origination fee will be assessed each semester for those using the four-payment plan. Five-payment Plan: Payments for enrollment costs, less verified financial aid are due as follows: July 1, August 1, September 1, October 1 and November 1 for the fall semester; December 1, January 1, February 1, March 1 and April 1 for the spring semester. For any month a payment is late, a late payment fee of $23 is charged. A $50 origination fee will be assessed each semester for those using the five-payment plan. One-half of all undergraduate charges not covered by financial aid must be paid by the first day of class. The remainder of charges is due the first day of the third week of class for four-week terms and by the first day of the fifth week of class for eight-week terms. J-Term charges may be included in the spring payment plan provided that the student has enrolled for the spring term. New students must make a $125 enrollment guarantee deposit. The new student enrollment guarantee is not refundable after May 1 for the fall semester or November 1 for the spring semester. If a student withdraws from school or decreases hours after classes begin, applicable credits for tuition, room rent, meals, and fees will be computed according to the following schedule. Calculations are based upon the date the student notifies the Academic Center IN WRITING OR IN PERSON. Credits for room rent and meals are based upon the date the student notifies Residential Life IN WRITING OR IN PERSON or OFFICIALLY CHECKS OUT OF CAMPUS HOUSING, WHICHEVER IS LATER. Fall/Spring: Beginning with the first day and continuing for the first week after classes begin, the credit is 100%; second week, 80%; third week, 60%; fourth week, 40%. No refund is given after the fourth week of class. Please note, if dropping a course causes the student to remain in the 12-16 hour block of tuition, there will be no credit. J-term (four-week term): Within two academic days after classes begin, the credit is 100%; third day, 80%; fourth day, 60%; fifth day, 40%. No refund is given after the fifth academic day of class. Summer (eight-week term): Within five academic days after classes begin, the credit is 100%; sixth day, 80%; seventh day, 60%; eighth day, 40%. No refund is given after the eighth academic day of calss. Step 1: Students not currently enrolled in OBU must secure a Permit to Enroll and Enrollment Information Packet from the Admissions Office, Thurmond Hall. 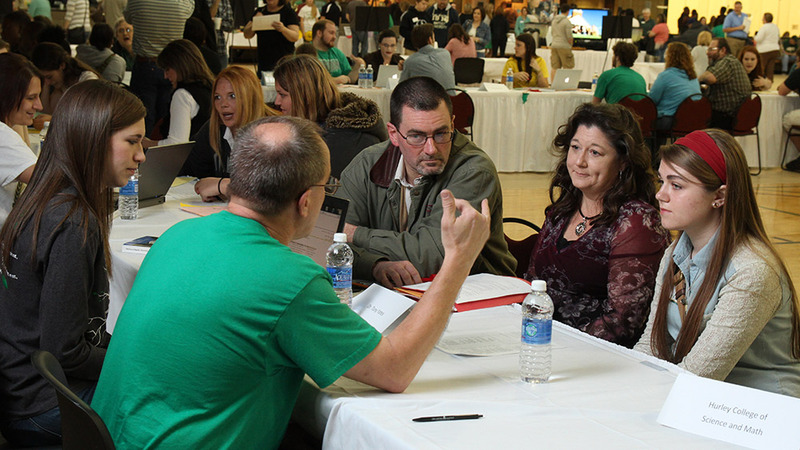 Former students who completed a Leave of Absence form in the Academic Center before leaving OBU may secure their Enrollment Information Packet in the Academic Center, Thurmond Hall 201. Step 2: Continuing students will receive Enrollment Information Packets through their campus e-mail. Step 3: Counsel with Faculty Adviser and complete all necessary forms. IF YOU PLAN TO REGISTER YOURSELF ONLINE, ASK YOUR ADVISOR FOR A PIN NUMBER AS WELL AS SIGNATURE ON THE REGISTRATION CARD. Secure approval of your Dean for any overloads (more than 13 hours if conditional or probation and more than 17 hours if in good standing). Limit to 6 hours for Summer Term I or II. Note: All packet forms are required at this station. You can look for class openings, complete registration, and add or drop for the current semester. If there are closed classes, ineligible courses, time conflicts, or courses needing approval, that message will appear on your screen. When you are ready to enroll in the courses shown on your screen, click Submit Changes. Click on Student Detail Schedule to view and/or print the schedule of courses in which you have enrolled. Students with Vocational Rehabilitation Scholarships must participate in the required interview.